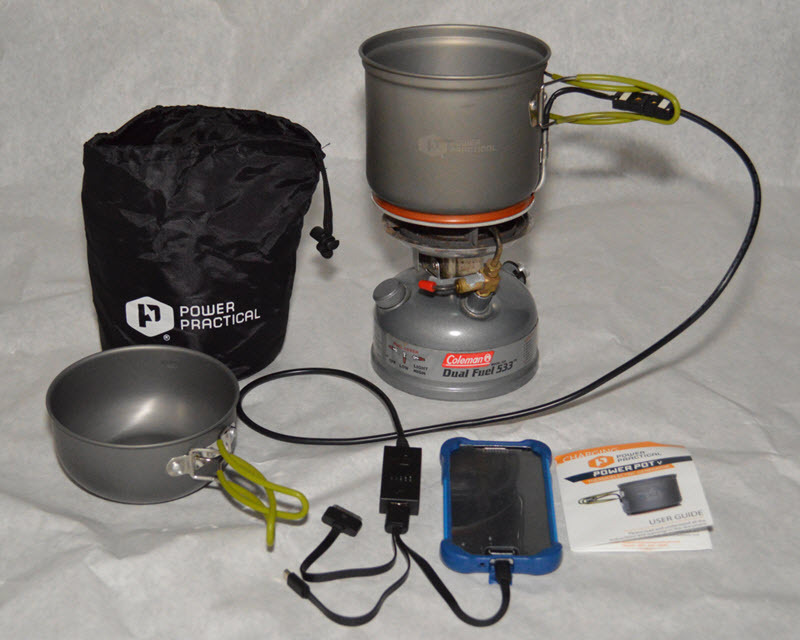 Power Pot 5 at NEW LOW PRICE ! go with that wood fire ??? Introducing the Power Pot !! 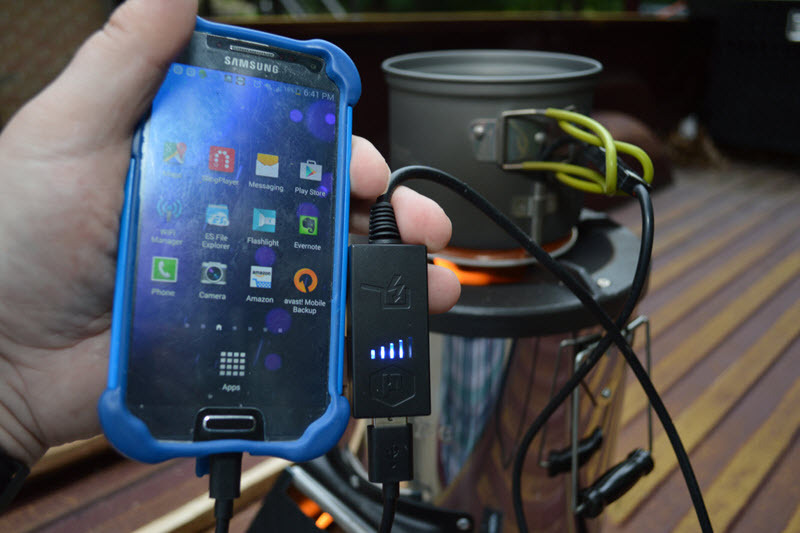 Plug ANY USB Phone, Tablet or USB Battery Into it. 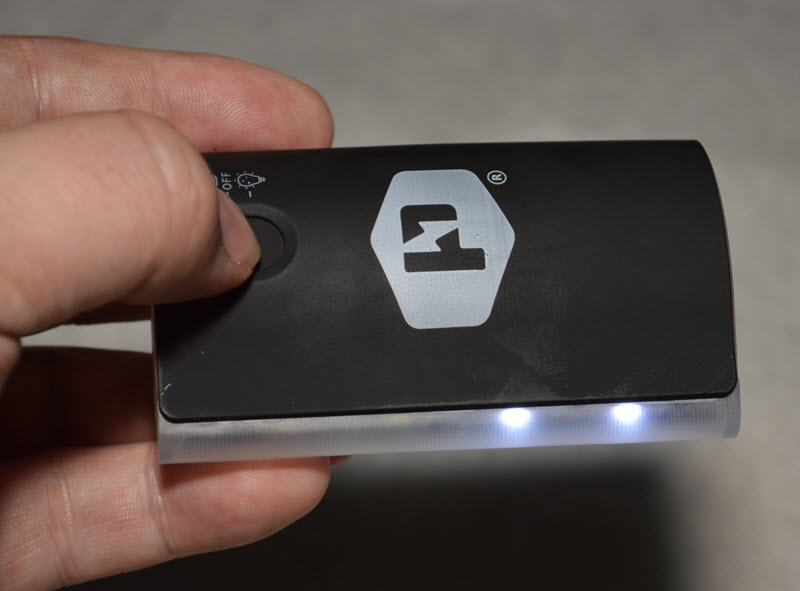 the built in USB Power Meter (see Video ABOVE) and the photographs BELOW. 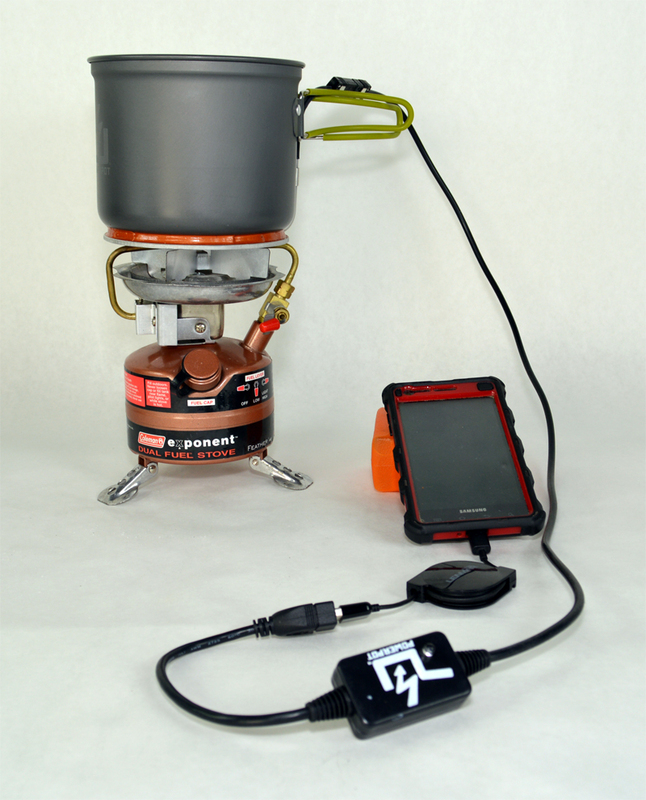 This is the PowerPot on a Coleman Dual Fuel Stove. 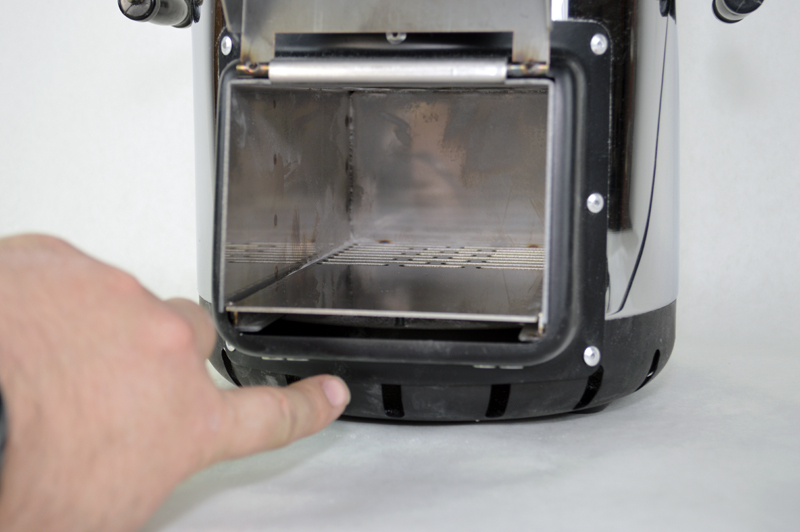 be just as good as the little stove above. YES !! 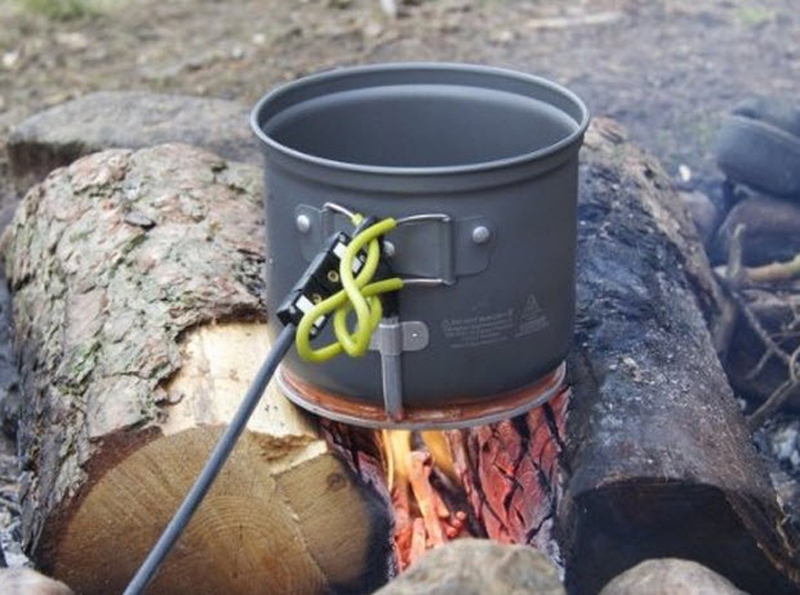 It works on a regular Propane or Butane Stove as well. Less than 1 pound of wood per HOUR !! You BETTER BELIEVE it will work on the Rocket Stove just GREAT. 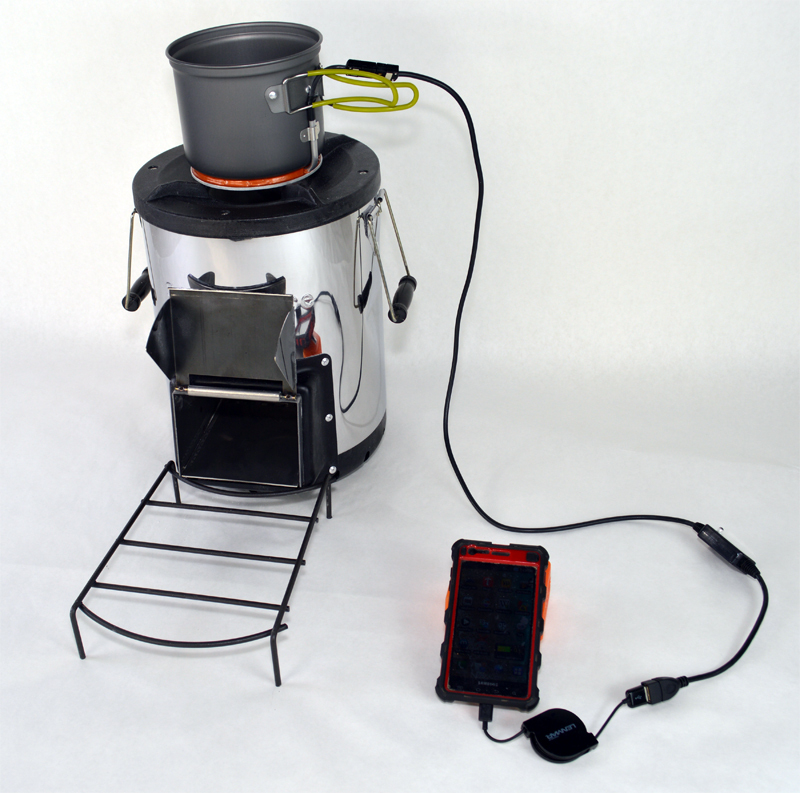 heat to run the thermal electric generator. over a twig fire. This is useful. measured in minutes and charging is measured in hours. 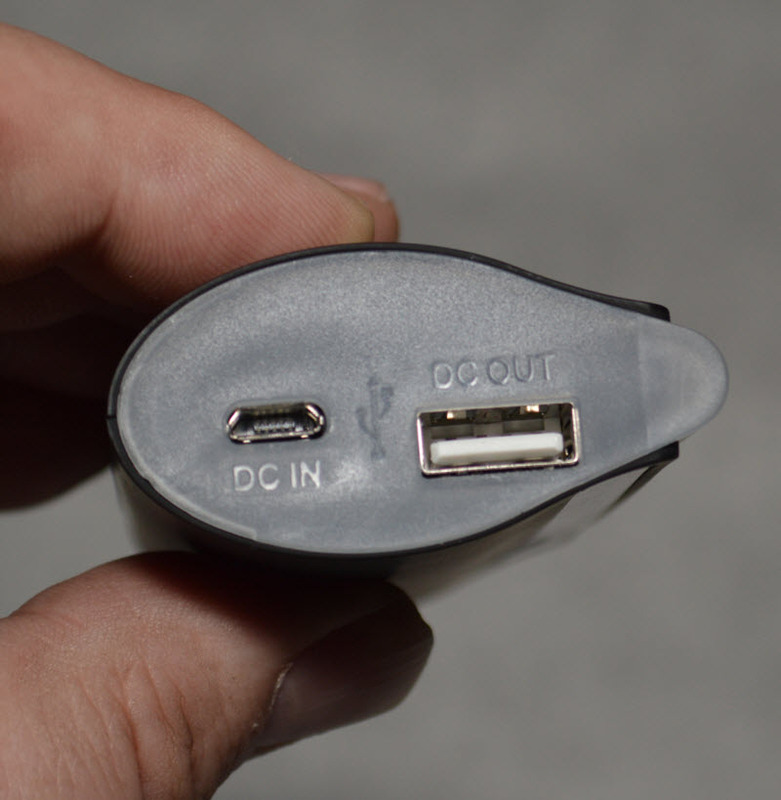 get this to charge your phone or USB Battery !! over 100 times if you keep the stove on low !! This is the New Power Pot 5 !! The nice carry bag and the instructional manual are all included. The Blue Meter to the Right of the Phone is the Built in Watt Meter. know if you need more flame under the pot or if you have enough. 1 Blue Bar for each Watt of Power being Delivered. 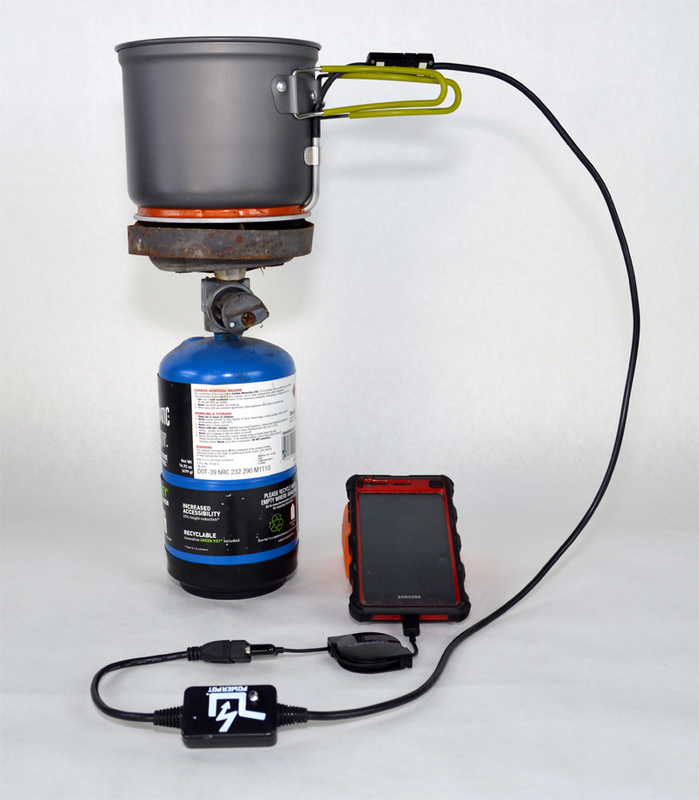 The "BioLite" stove delivers only 2 watts max. 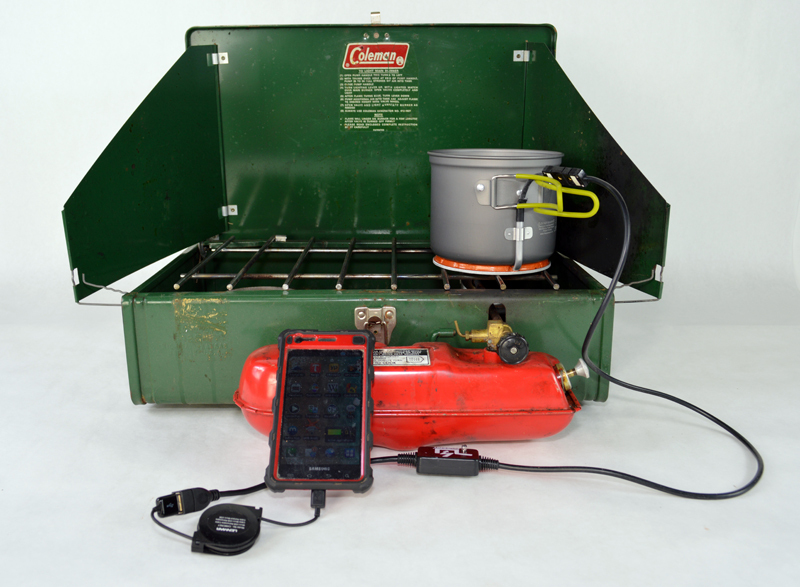 Charge Your Phone From Gasoline ! 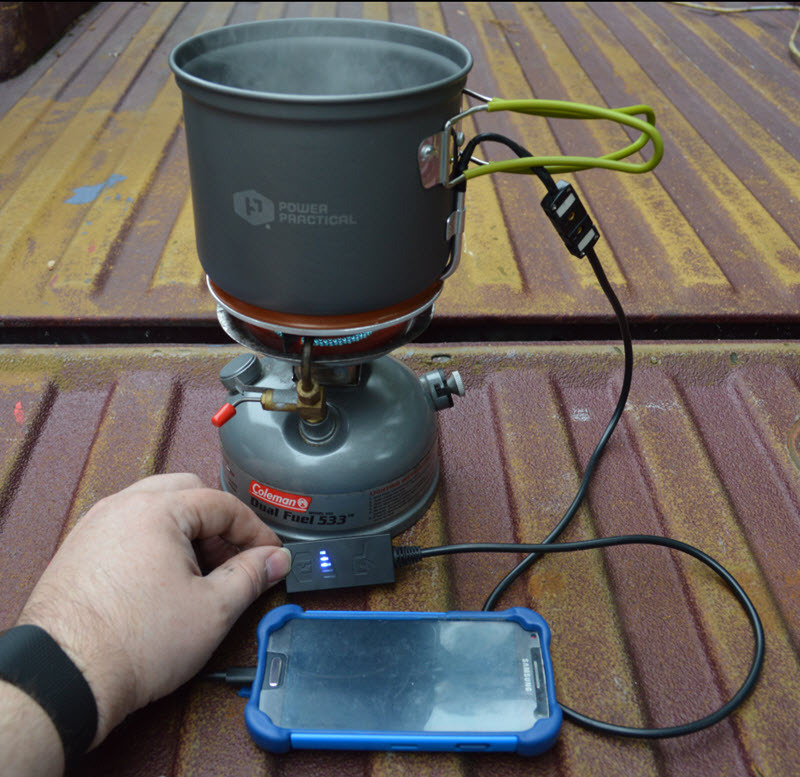 the Power Pot 5 should charge an iPhone over 100 times !! but its just warming up, it delivered a full 5 watts of power to the cell phone. The Phone is Charging ! 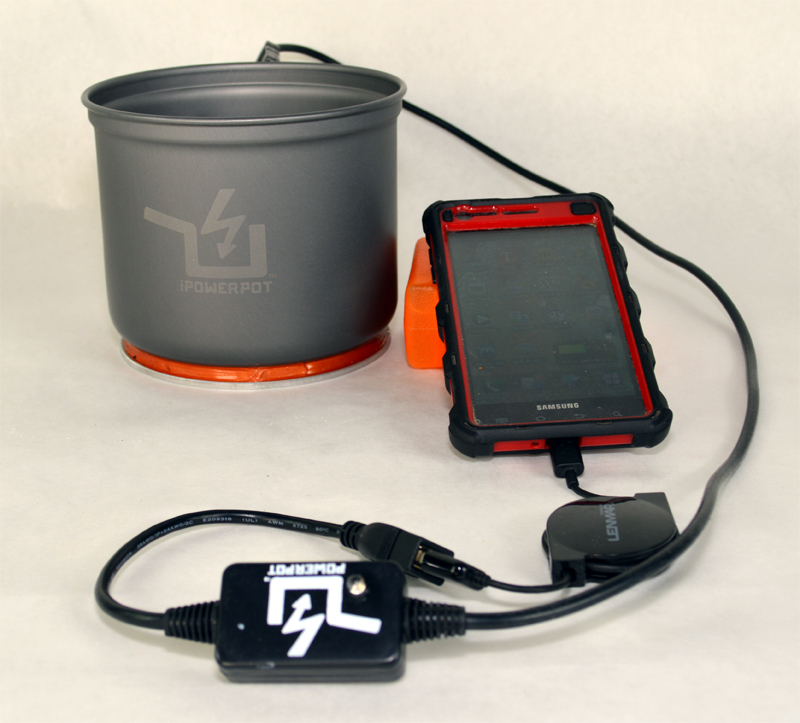 charge it for all of you guys on the Power Pot 5. 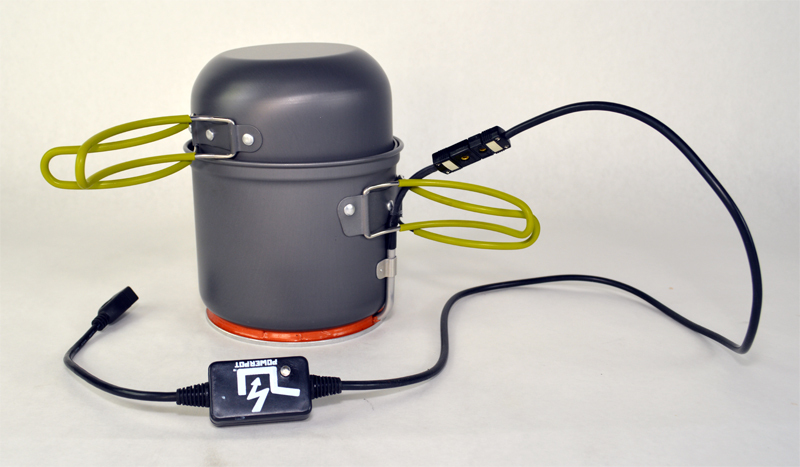 5 Watt Thermal Electric Power Pot and take your power with you. 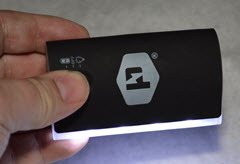 for up to 30 Hours of Light. its Bright ! 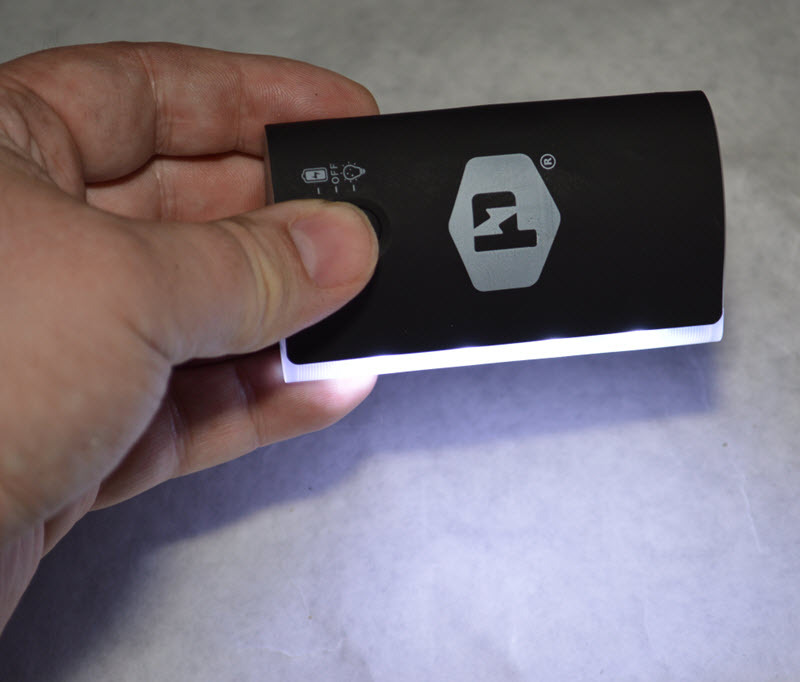 Stored Light from Burning Wood, yes, its real. This will FULLY recharge an iphone from dead to 100% about 2 times. and to RECHARGE !! :) This will FULLY recharge an iphone from dead to 100% about 2 times. New Low Price Save $50 ! was $49.95 ON SALE 3 Days. was $329.95 ON SALE 3 Days. waiting in line for ?? trade for ANYTHING in a Disaster ? (read Warning Below for Legalities) Yes, it makes Alcohol Fuel as Well. of Alcohol Being Produced - A Must Have. JUST ADD SUGAR and WATER ! Makes 3.0 Gallons of 80 Proof Alcohol or 1.2 Gallons of 200 Proof Alcohol Car Fuel in as little as 2 Days. The Starter Kit INCLUDES a Measurement Kit, that saves you $20 right there. 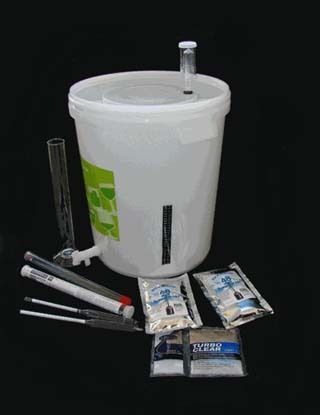 Count on this 8 GALLON quality pail to be exactly what you need to start your first fermentation. It includes the fermentation lock and TURBO YEAST so you can get a batch done and ready to distill in as SHORT as 2 DAYS !! What is nice is the spigot so you can put the fermented 'wash' directly into the still WITHOUT having to lift and pour from the 8 gallon pail. You'll probably have only 6 gallons of water and sugar in the pail, the other 2 gallons is for foaming and headspace, but those 6 gallons w/ sugar can weigh over 60 pounds! 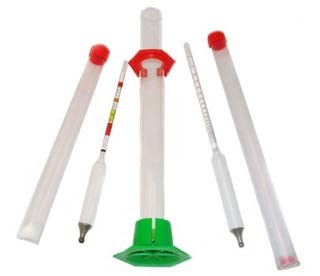 You Really Need This Kit to Start your Fermenting and Distillation Quickly. This is the fastest way to do it. Ok...so we know that alcohol, moonshine, etc is a great trading commodity during a disaster. After Hurricane Sandy hit Pennsylvania, the "State Alcohol Stores" were shut down for 2 days. On day 3 there was a line of people going in and out of it like ants. Half the shelves were empty. Boy do we have an alcohol issue in this country. People will do anything for alcohol especially if everything is shut down for a week. You can trade a water bottle full of moonshine for just about anything; toilet paper, ammo, fuel, you name it. (I'd put in 80 proof 'moonshine' in bottles, NOT 180 proof I show how to make, that is for making triple distilled top shelf stuff). 1. It is NOT illegal to own a Moonshine Still in the USA. 2. It *IS* 100% ILLEGAL to DISTILL ANY amount (even 1 drop) of moonshine in the USA without a permit. So if you want to make moonshine I'd suggest you store it in regular water battles, 8 or 16 oz water bottles. Put them back in the case and put them on the shelf with your regular water. They will look the same. I show you HOW 100% in the video above how easy it is to make alcohol fuel for cars, and that is 100% the same as moonshine or vodka. So if you do this in the privacy of your kitchen, do not tell anyone, do not drink it, do not sell it. Make it and store it for an emergency. Loose Lips Sinks Ships and get you in Jail. When the world has collapsed and its time to trade it, take a sharpie and put X X X on the bottle and trade it for anything you want. X X X use to by the marking for moonshine, it mean distilled X times, so X X X is three times. WANT TO STORE ALCOHOL LEGALLY For Disaster Trading??? Ok.. so if you want to do the above legally you can do the following. 1. Buy big bottles of cheap vodka and keep small 8 oz water bottles for distributing it later. Trading in smaller portions is a higher value than trading a whole big bottle. Right now, in Alaska, in many native towns it is ILLEGAL to OWN, let alone DRINK alcohol. "Boot leggers" or Alcohol "Smugglers" will get $400 or more for a 5th of Vodka they pay $15 for. That is how valuable alcohol is where there is none. So trade in 8oz bottles, not whole 5th's or 1.75 liters of vodka. 2. Get 5 gallon pails with sugar and water as described above and add grape juice and make wine. IT IS *LEGAL* to make wine in the USA for personal consumption. When the world fails, who's going to care what you do with it or trade it for. That is ALL Wine is... water, sugar, yeast and grape juice concentrate. 3. Learn to brew beer, plenty of videos on YouTube on how to do this. Brew beer and store it and use this for trade when the world ends. Again, you can make beer and wine for personal consumption. You can't legally sell it without a license. 4. Its smarter (but more illegal) to make moonshine BEFORE a disaster and store it as I described. However there is nothing illegal about storing sugar, yeast and water and then you can illegally make moonshine after the world has collapsed and there is no federal law enforcement. You'd HAVE to have a fair amount of electricity to do it. So if you have a generator that runs on natural gas then you have all of the power you need to make the moonshine. If you have a large solar system, that will work as well. 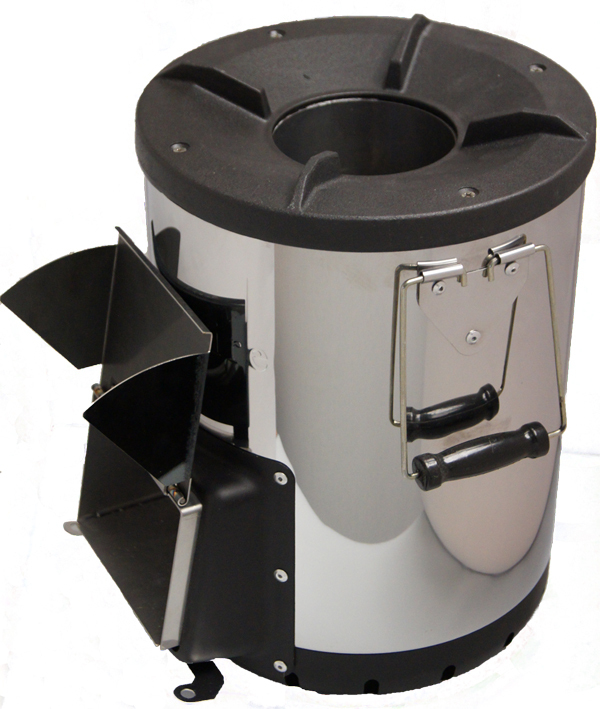 It takes about 600+ watts to run the still for 90 minutes to make your first batch. 5. For the RECORD. I am talking about possibilities for what some people might want to do, both illegal and legal, but we are talking about living in a time when there is no law except for your 870 shotgun. For the record, I have 100% NEVER ever taken an illegal drug in my life, not even pot, nor will I ever do so and I have never made alcohol outside of a location where we were making it for Alcohol Fuel purposes with a Federal TTB Alcohol Fuel Permit. I am NOT telling you to make illegal alcohol in the USA. I AM telling you that it is a Federal Crime to make it without a federal permit and and in many cases a state permit. 6. If you want to know how to make alcohol LEGALLY in the USA for Alcohol Fuel Purposes, see ALL of my explicit details at http://www.iMakeMyGas.com I talk about how to get a permit (free from the US Government) and make Alcohol Fuel Legally. It is NOT ILLEGAL to BUY an alcohol still in the USA. You can own one. You can BUY one. 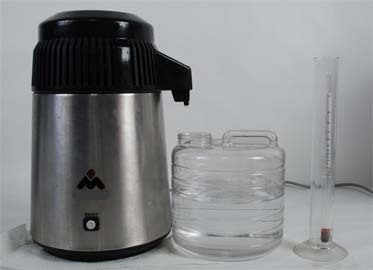 You can use it to legally distill water, essential oils and fragrances and you can legally use a still to distill ethanol for fuel uses WITH a permit. See Below about getting the FREE Permit to make Ethanol Alcohol Fuel in the USA. There is NO methanol that is going to BLIND you either. You can make Alcohol to Drink at Home LEGALLY by making Beer or Wine (no permit needed). You can legally make DISTILLED Alcohol (with 2% gasoline added as a poison) LEGALLY in the USA with a FREE Permit from the Alcohol Tax and Trade Bureau of the US Government. Explicit details on getting your license to make 10,000 gallons of Ethanol Fuel a Year are in the Alcohol Can Be a Gas (below). Get the book. If you want to legally make distilled spirits TO DRINK and SELL in the USA then the Alcohol Tax and Trade Bureau has all of the forms and stuff you need to do to become a "Micro Distillery" in the USA. It takes a while, it costs money, you have to keep detailed records and you have to pay a LOT of taxes on the alcohol you make. If you are in Canada, Mexico or the UK or EU I don't care what you do with a still. Do what you desire, its between you and your laws and your government. In the USA, I'm telling you its illegal to make distilled spirits to drink, without a Distillery Permit from the US Tax and Trade Bureau. HELP the USA OUT of the RECESSION-Create JOBS. I AM very much in favor of MORE individual owned Distilleries OPENING in the USA (legally). Too many BIG companies have monopolies on making alcohol to drink. Its a GOLD MINE. If you want to know how to make alcohol then this still and video and information is the best way to start. Legally do it with a free fuel permit (for fuel), then do it do it legally with a distillery permit. All of the steps in making the alcohol are 100% the same. Making alcohol for fuel is a higher purity than what is used for drinking and by all means get the Bible of Alcohol (and fuel) production titled Alcohol Can Be a Gas (below). 660 pages of 30 years of wisdom of alcohol production! The USA needs the new businesses, it needs the new employees and the US Tax and Trade Bureau needs the Taxes. If you are determined, you can be the next Jack Daniels or the next Jim Beam, or the next Absolute. 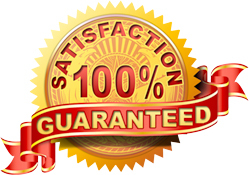 This is the 2nd oldest profession in the world, and if you get the permits, you can do it LEGALLY and make a profit. Everything you need to learn to do this is on this website ! I am all about teaching YOU. I am all about YOU learning. Now GO FOR IT. The Best Book Every Written on Ethanol Fuel. Throughout the book are explicit and detailed photographs showing the production of alcohol, the refinement of alcohol, the conversion of a vehicle to run on alcohol and other usages of it. Even the details on starting the vehicle in cold weather, the feeding of a starting material with the alcohol and more. This IS THE BOOK that shows you the detailed 6 step Starch to Sugar Conversion process for turning anything starch (bread, donuts, waste pastry, flour, wheat, corn etc..) into sugar to be fermented into alcohol. This is HOW you make CHEAP FUEL, by converting free and cheap starch to sugar, fermenting the sugar to alcohol, then distilling the alcohol then putting the alcohol in your fuel tank. This book has the BEST, the most detailed drawings, photos and explanations of making a distiller for alcohol. I PERSONALLY OWN several thousand dollars in alcohol related books. From 1900 to 2000+ and I must say that David's book is the best. 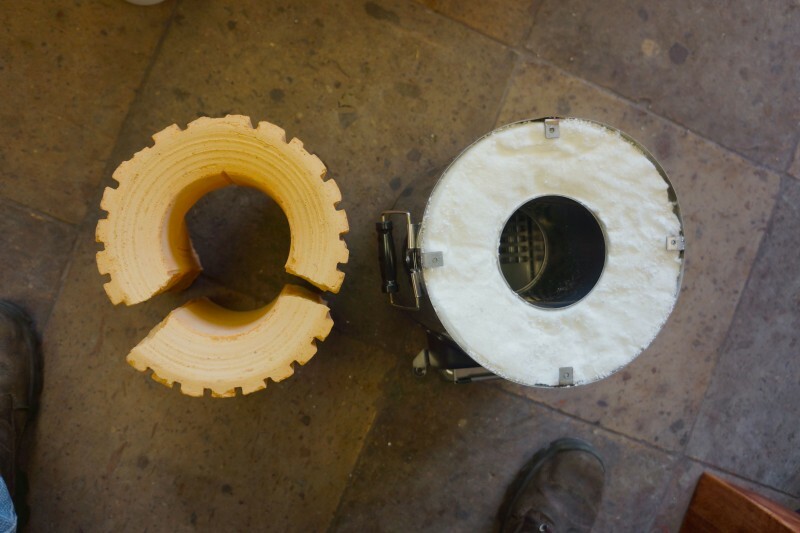 He made a clear tube example of a bubbler column just so you could see how easy it was. Not JUST a drawing, not just a detailed explanation, but a photo of one that is clear so you can see the inside. He does this throughout the book. 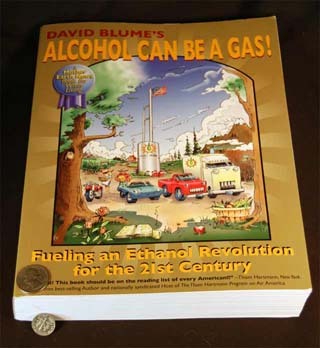 See David Blume give a riveting 2 Hour 40 Minute presentation about alcohol fuel. The nation's first driver owned coop was organized as a result of this presentation! This professionally filmed talk starts with the amazing history of alcohol as the first auto fuel, and covers a wide range of topics exploding the myths told about alcohol, a primer on how to produce it, car conversion methods, tax credits available, and far far more. 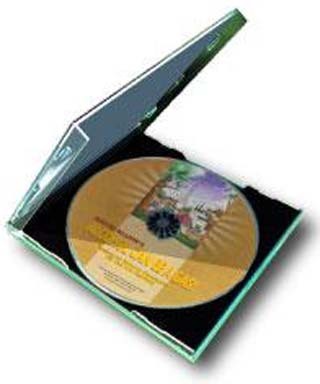 The DVD is indexed so you find what you are looking for easily. Also included is a segment showing all the steps in making fuel. This DVD is all you have to hand to that naysaying know it all at your next party to blow their mind. that sugar and then distill the Alcohol. The highest concentration the automated still we sell above will product is 89%-92% Ethanol. Ethanol must be 95.0% or higher to completely mix with gasoline in a 50/50 ratio (less is ok as well) so it can be used in most modern vehicles 1983 or newer. The still does a great automated job of getting you up to a very high proof, but the last percentage of alcohol is almost impossible to get out with ANY STILL. 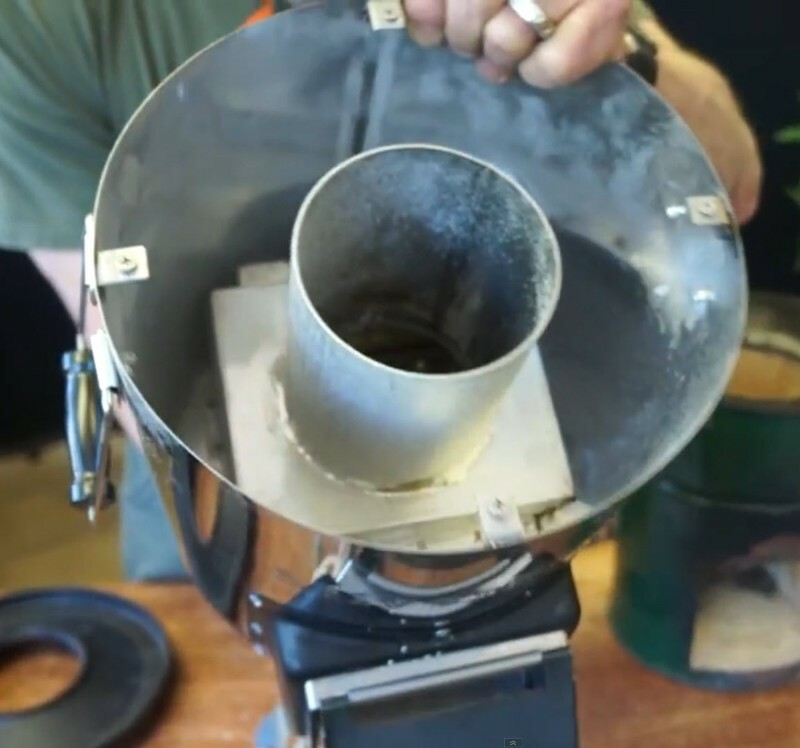 Using the zeolite is NOT complicated and I have a complete video on showing EXACTLY how to use it ( in a stainless steel cooking pot ) and EXACTLY how to 'dry' it out so you can use it again. Exactly what temperatures and exactly for how long, what safety concerns MUST be observed and exactly what ovens will work and which ones I use myself. This website is the ONLY place in the WORLD where there is a video showing how to use zeolite 3A with Ethanol and HOW to Regenerate the Zeolite so it can be used many hundreds of times, if not more. The video is for sale below, it took a LOT of time and money and effort to make the video, and the video is included in the GET EVERYTHING package. If you get the zeolite, you MUST get the video in some form, following the very bad instruction found on the net will result in you possibly burning down your house, I cover this in detail in the video. Than What We Sell it For. 1. Correcting the Proof / Alcohol Percentage Readings for the Actual Proof. Full .PDF tables are provided with video instruction. This is the EASIEST way to correct your reading for temperature. All of the other ways are hard and confusing. 2. Conversion / Purification of 89%-92% Ethanol to 95%-99% Ethanol with the use of Zeolite 3A. 3. 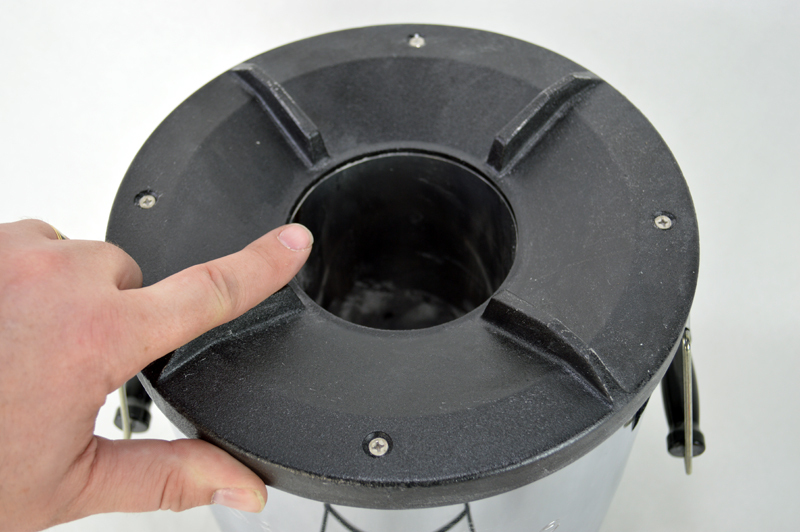 Removing the water from the Zeolite 3A to use it again many hundreds of times or more. 4. Mixing your 95.0%+ or higher Ethanol Fuel with gasoline for use in your regular car without any modifications. This video has ALL of the details. Everyone of them. Its is the same exhaustive hands on demonstration that I provided in all of my videos. Its 45 minutes JUST on the zeolite 3A use and the mixing with gasoline, so you KNOW I put in a LOT of details. There are NO, NONE, ZERO correct instructions on the internet on the dehydration and regeneration of Zeolite. You cannot get zeolite without this video. It took a lot of work to make this video in a manner that you can do this in your kitchen. If you do this wrong, you'll burn your house down. This stuff comes in pretty decent sized boxes, its not cheap to ship. The Starter Kit includes a Measurement Kit, you're ONLY paying for 1 KIT, only getting 1 Kit. 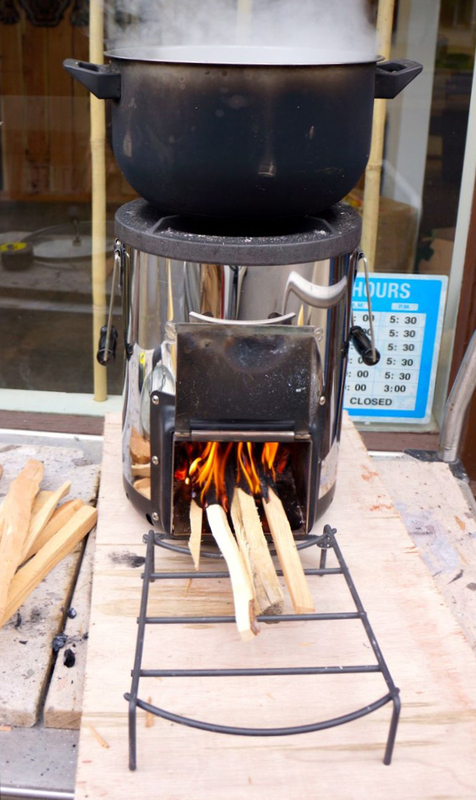 PEOPLE ACTUALLY MAKE and USE FUEL, and save money with these stills. I have made about 20 gallons of approx 180 proof ethanol fuel. I runs ok in the mower just by running with the choke on to block air flow....same with trimmer. I mixed it just like gas with two cycle oil. I'm sure it would do better if I had increased to 200 proof but it worked ok. I made it from sugar I bought from a warehouse, a pallet had gotten wet and was solid as a rock. Well for making fuel it worked fine and for what I paid I could have only bought ten gallons of gas. I am going to try making some from starch and sugar (garbage donuts).....I have convinced a market manager to let me have some that's way past the day old stuff that they sell that are really days old. Anyway if I have any luck I'll tell you all about it. The FREE SOLAR PANELS BOOK. I got over 85 Solar PV Panels for Free and I wrote this book to show you how to do the same thing. The book covers Free solar panels Plus solar heating and cooking at your house. Plus explicit details on getting Free Solar Glass and Free 3000F Solar Concentrators for a solar furnace. One of the most unique books ever written on Solar Energy. 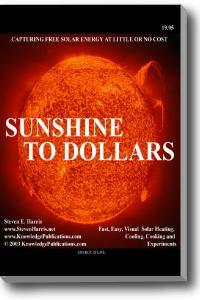 This book will have you building solar heaters and solar ovens in one afternoon. The biggest value in this book is the solar hot air heaters and the solar hot water heaters with the free glass you can get. This book will pay for itself FAST. This is the most hands-on book ever written in the field. Get it today. Also includes, at no extra charge, Surviving the Blackout of 2003. Ferment to 18% instead of 12%. Turbo Yeast with its special yeast and nutrients will brew a full batch of wash in 2 days when normal yeast will take 7+ days. (2 days if the wash is 85F or warmer). 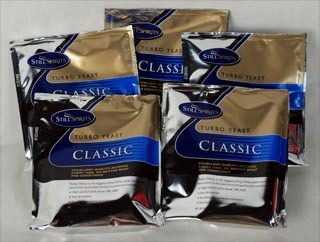 Really this is 10 'packs' of turbo yeast. The only thing I can get are these DOUBLE packs. 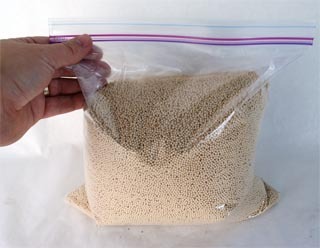 So use half a pack of yeast per 'batch' in your 8 gallon fermenter. Make sure you put the other half into a zip lock bag for good keeping. You CAN add the whole pack if you desire. Results will be a bit faster.